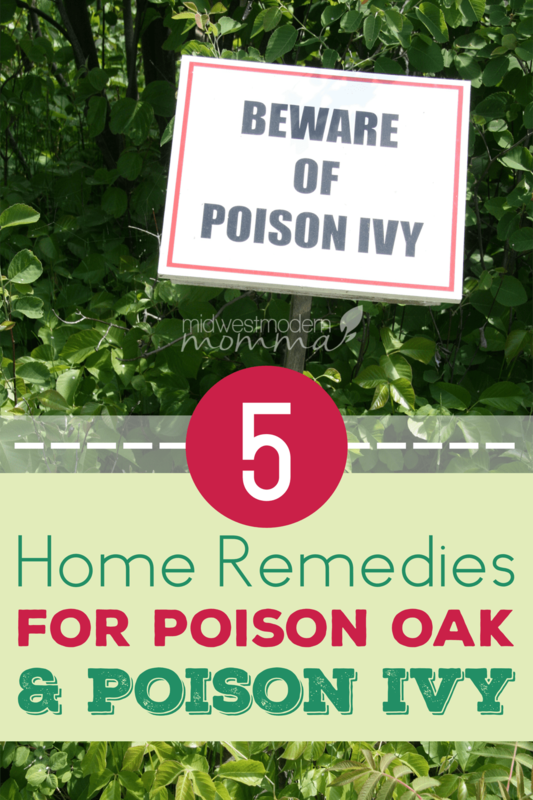 Home remedies for poison oak and poison ivy are needed much more often than we like. With so much time spent outside in the summer, it’s easy for kids and adults to come into contact with poison oak or ivy. Those allergic to the plants will soon know they have touched it when their skin gets itchy, red, blistered, and/or irritated. Fortunately, you can alleviate the discomfort with these five home remedies for poison oak or poison ivy! I'm one of those few lucky people that have no reaction to poison ivy. I actually rolled in a patch of it as a young child and have come into contact with it numerous times while hiking with no ill effects. My dad, on the other hand, can step within 10 feet of it and break out in a rash. Luckily, the kids haven't come into contact with it yet. After years of watching my parents treat my dad for it, I've collected some of the best home remedies for poison oak or ivy that prevent that lovely itchy rash and help for dealing with it after it's already itching. The first thing you should do to remedy poison oak and ivy symptoms is clean the affected area. Mild soap and water works. It may be more effective to add Epsom salt to the water, to be sure all of the urushiol (the oil in the plant that irritates us) is washed away. The salt will also help calm the itching. Smear honey on the affected skin to reduce itching and swelling. Cover the area with a clean gauze after the honey application, so it can work its magic. Remove the bandage within a couple hours, however, so it can get adequate air to heal. One of the best homemade remedies for poison oak or ivy is the all-purpose apple cider vinegar. To eliminate the urushiol remaining on the skin, gently rub a cotton ball doused in apple cider vinegar across the poison oak/ivy rash a few times a day. Regular vinegar may work as well, but apple cider vinegar is a little less acidic, meaning it’s likely to do more help and less harm to your already irritated skin. If your rash is angry red and filled with blisters, a baking soda paste can protect the skin and speed up the healing process. To create the paste, mix baking soda and water in a bowl. One teaspoon of water in three teaspoons of baking soda should be enough to make a paste – if it’s still too dry, add a little more water. Apply the paste directly to the poison oak/ivy rash and allow it to dry. Try not to move the area too much, so that the baking soda paste can stay on as long as possible though it will eventually flake off. For large blisters in the rash, add two teaspoons of baking soda to one quart of warm water. Soak clean gauze in the water and lay over the oozing blisters 3-4 times per day. Juice fresh from a lemon is another way to speed up recovery from a poison oak/ivy reaction. This home remedy works by eliminating the urushiol and other toxins in the irritated area. Cut a lemon in half, then squeeze and rub the juice directly from the juice onto the affected skin. The sooner after exposure you do this, the more effective it will be! If you're out camping or hiking, you may not have easy access to these things. These poison ivy/oak wipes are great to keep on hand for those cases. We have them in our hiking bags, our emergency bags, and keep a few in each car for immediate use. 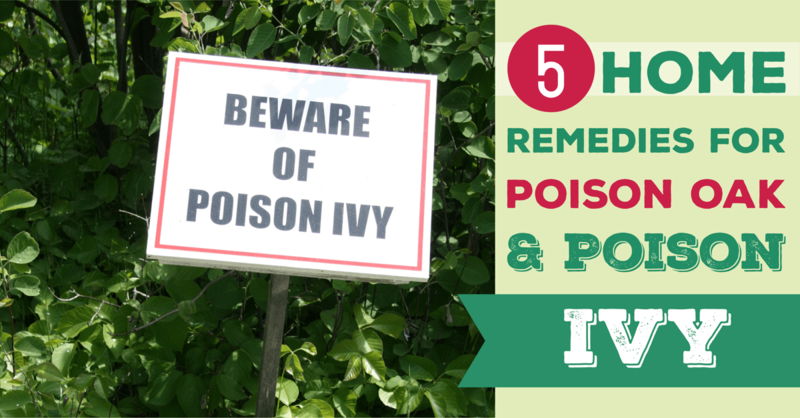 We love these simple homemade remedies for poison oak and poison ivy. What are you favorite methods of protecting your skin or relieving irritation?